Project Management Institute® is the world’s leading not-for-profit professional membership association for the project, programme and portfolio management profession. Founded in 1969, PMI delivers value for more than 2.9 million professionals working in nearly every country in the world through global advocacy, collaboration, education and research. PMI advances careers, improves organisational success and further matures the profession of project management through its globally recognised standards, certifications, resources, tools, academic research, publications, professional development courses and networking opportunities. 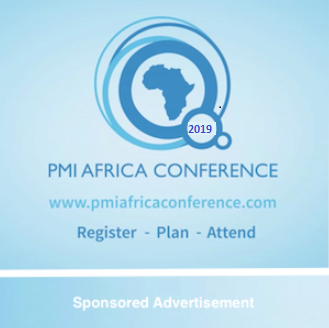 Much of PMI’s activity takes place in over 280 geographic chapters globally, with 17 Chapters across Africa including, PMI Angola Chapter, PMI Botswana Chapter, PMI Cameroon Chapter, PMI Ivory Coast Chapter, PMI DRC Chapter, PMI Ghana Chapter, PMI Kenya Chapter, PMI Mauritius Chapter, PMI Nigeria Chapter, PMI Senegal Chapter, PMI South Africa Chapter, PMI Tanzania Chapter, PMI Uganda Chapter and PMI Zimbabwe Chapter in the PMI EMEA Region and Egypt Chapter, Morrocco Chapter and Tunisia Chapter in the PMI MENA Region.